To get away from his chaotic, often violent parents, 17-year-old Jesse has moved into an apartment with his brother. They are both taking community college courses in Fresno. But to pay for them, they must take whatever jobs they can find, even backbreaking field work. The path to a good education isn't going to be an easy one for these two young Mexican-Americans. As Jesse absorbs information in his classes, he learns harsher lessons from the people around him. Watching them and the choices they make, Jesse begins to understand the limits of his world. Gary Soto, a poet and novelist, has won prizes and awards for his work. 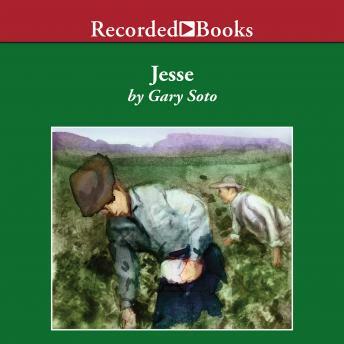 Filled with wry humor and realism, Jesse reflects Soto's own experiences growing up in California. Robert Ramirez' lightly accented voice captures the thoughts and emotions of a young man on the threshold of an uncertain adulthood.